The Internet is often depicted as a threat to traditional print publishing and traditional print publishers, which is not wrong. But the Internet has also created many new digital publishing and income opportunities for tech-savvy, innovative, and entrepreneurial writers. This includes ways to make money from business models and types of writing that would be difficult, if not impossible, to exploit in a print format. The NWU is the most diverse organization of working writers in the USA. Membership in the NWU is open to writers in all genres, media, and business models. 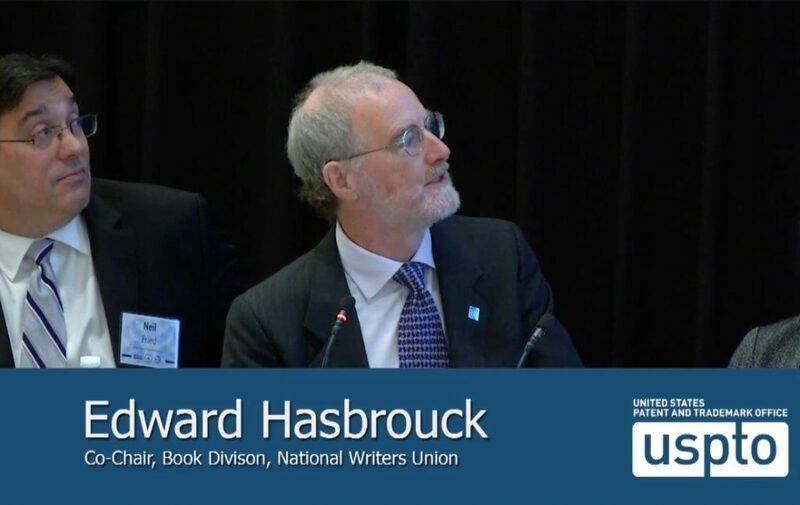 As an elected national division chair of the NWU, and a representative of the NWU to several national and international coalitions and federations, I’ve seen more diversity of writers’ revenue mixes than most writers themselves could imagine. While I’ve been co-chair of the Book Division of the NWU since 2009, and have had books in print with what is now part of a major publisher for more than 20 years, I have earned my own living throughout that time primarily from writing published in digital formats as a staff writer, independent contractor, freelancer, and self-publisher of Web sites, blogs, and e-mail newsletters. Whenever I talk with an NWU chapter or other group of NWU members, I learn about more ways that writers are earning a living from writing distributed in digital formats. But many of these revenue streams are invisible to the traditional publishing industry, technology companies, and government officials. This results in technology, business, and policy proposals that are irrelevant to writers’ real working lives or, worse, that have unintended or deliberate but unnoticed adverse consequences for writers’ livelihoods. So I was pleased to be invited to give an overview on behalf of the NWU of the marketplaces for writing in digital formats at the start of a day-long conference on March 28th on Developing the Digital Marketplace for Copyrighted Works. It was the latest in a series of events on this theme — and the first at which a writer was invited to speak — organized by the Department of Commerce’s Internet Policy Task Force and hosted by the US Patent and Trademark Office, which also has a division that deals with copyrights rather than patents and trademarks, at its campus in Alexandria, VA.
We hope that a better understanding of writers’ diverse livelihoods will better inform business proposals, industry analysis, and policy making by the stakeholders and government officials from multiple federal agencies who attended or watched the webcast of the meeting. I’ve posted my slides below, along with the notes from my presentation. I’ll add links to the video archive and transcript as soon as they are posted by the USPTO. We look forward to continuing the discussion of how writers make our living on the Internet — and what it means for public policy — within the NWU, with other writers’ organizations, with other business partners and service providers, and with government policy makers. Please contact the NWU if you’re interested in a discussion or in hosting an event on this topic or on related issues of how writers can earn a living in the digital age.